While the biomass industry in Alberta may seem like a recent addition to our energy infrastructure, a deeper look shows that Biomass got its start earlier than you might think. Brennan Anderson, Operations Manager at Whitecourt Power, has been part of the biomass movement for 22 years. He sat down with Burst Energy to outline the successes and challenges involved in being an alternative energy producer in Alberta. 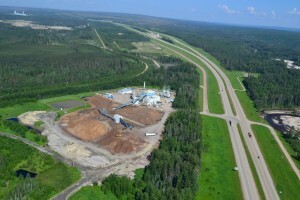 Whitecourt Power was born out of the Small Power and Research Development Act in 1988, which provided incentive for facilities such as theirs to be constructed. The provisions included a 20 year contracted power purchase agreement based upon a set price per kilowatt hour. The facility began operations as Millar Western Power, wherein any waste wood deemed unusable from Millar’s saw mill and pulp mill operations would be used to produce energy for Alberta’s power grid. Ownership of the plant has changed hands several times over the years, and is currently owned by Capstone Power Corporation. Whitecourt power began construction of its stand alone facility throughout 1993/’94, and took on commercial operations by 1995. “There wasn’t a lot of local knowledge on how to operate a facility like this at the time”, said Anderson. The project took longer than anticipated to find its footing in this new energy arena, but with both feet firmly planted it now boasts an annual availability better than industry standard for operations of its type. The biomass facility also holds and an EcoLogo certification, holding it to stringent federal environmental standards. On an hourly basis, the plant uses 35 tonnes/hr of waste wood to generate 28 MW’s of which 24.5 MW’s are sent to Alberta Power Grid. 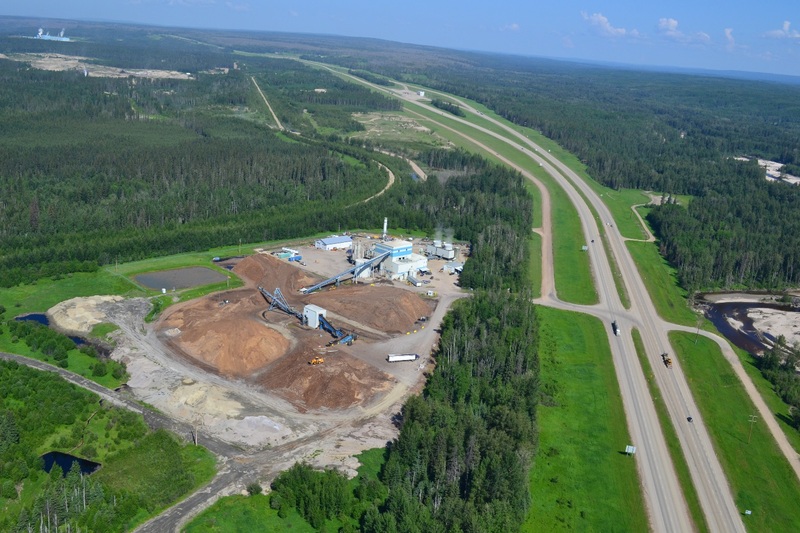 Annually, this translates to the facility converting over 300,000 tonnes of wood waste into 200,000 MWh of renewable power for the Alberta power market. This is enough power to supply 20,000 Alberta homes! The facility is well adjusted to its resource market, taking all of Millar Western’s wood waste from all three of its local mills. “We can’t get any bigger, but we can’t be any smaller either”, says Anderson of the operation which employs 28 employees year round. Whitecourt Power is an active participant in the Renewable Energy Credit (REC) program. Despite this, Anderson says the challenge in Alberta continues to be limited financial incentive to build these types of alternative energy facilities. Alberta currently has an energy surplus, and power prices in the $15-20/MW range, compared to other jurisdictions like British Colombia, which subsidizes similar biomass facilities to the tune of $120/MW. You can support facilities like Whitecourt Power by ‘greening’ a portion of your power bill! Every time you purchase RECs, you vote for more responsible energy to be placed onto Alberta’s energy grid for public consumption. Regardless of the challenges, Anderson says that the future of biomass in Alberta looks positive. He ends by offering this on alternative energy: “It’s the right thing to do”.